At Blackrock Clinic Keeping Our Patients Safe Is The Right Thing To Do! Our aim is to reduce patient falls, in particular those that result in patient injury, through a falls prevention programme. Falls prevention is becoming a very pressing risk management challenge for hospitals. Studies by “Olivet et al (2010)” state that the majority of hospital beds in developed nations are occupied by older people. With populations aging, projected increases in the number of people surviving with functional and cognitive impairment and multiple long-term conditions, these trends are likely to continue. In Ireland, older person admissions are considered a significant financial burden. A cost of about €10.8 million per year has been attributed to patients admitted to one Irish University teaching hospital (Cotter et al. 2012). This study also stated that there is a lack of cohesive falls prevention strategies at a national level. 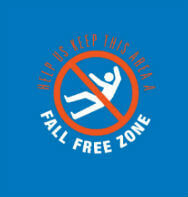 30% of all falls reported result in some form of injury. 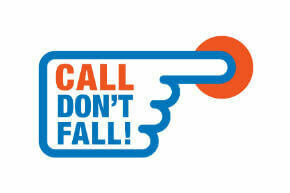 Around 80% to 90% of falls in acute hospitals are un-witnessed. 50% to 70% occur from the bed and bedside chair. 10% to 20% of falls occur in toilets or bathrooms (Oliver et al, 2010). All patients attending Blackrock Clinic are assessed and reassessed for a falls risk. This risk assessment provides a numeric value to the risk of that patient falling. In 2012 the Board of Blackrock Clinic set a benchmark of 0.30% fall rate for inpatients. This equates to 3 falls per 1000 bed nights. When an inpatient sustains a fall, a Blackrock Clinic “Falls Reporting Form” is completed. The patient is assessed by the Hospital staff, who complete the “injury and cause” section of the form. Cross reference to the medical record. Cross reference to the patient information system. Cross reference directly with the nursing staff. Feedback on the breakdown of the falls was provided to the Heads of all Departments. All staff who enter a patients room are to ask whether the patient needs to use the bathroom. All staff who enter a patients room are to make sure that all patient belongings are within easy reach. The Universal Falls Protocol was re -launched.